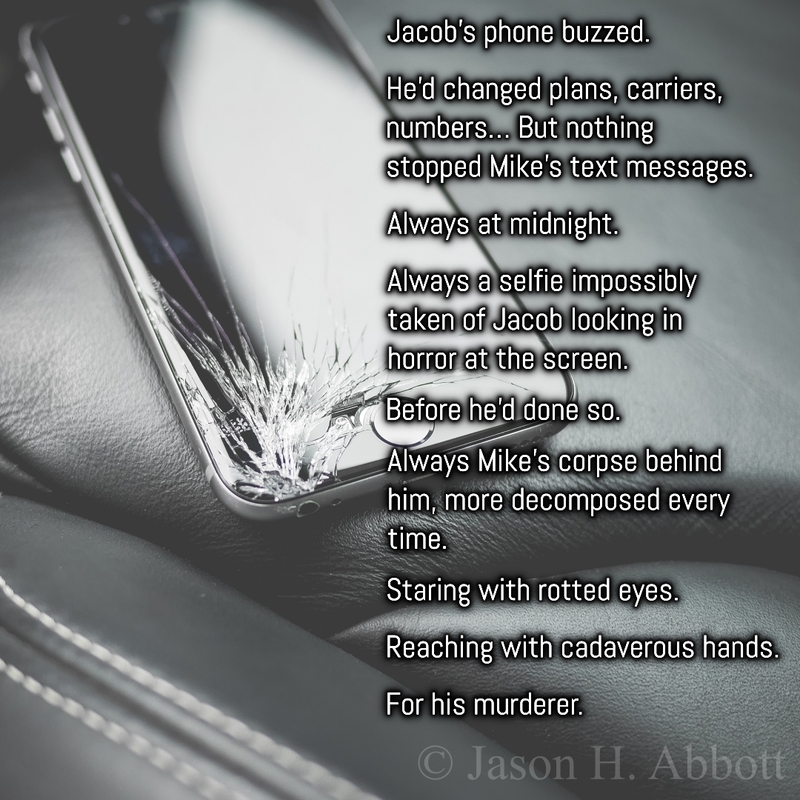 He’d changed plans, carriers, numbers… But nothing stopped Mike’s text messages. Always a selfie impossibly taken of Jacob looking in horror at the screen. Before he actually did so. Always Mike’s corpse behind him, more decomposed every time.